I have recently acquired a 1974 T500 Titan for restoration, alas the engine was locked very badly and it now disassembled and the crank is off getting rebuilt with new seals. We tried all sorts of trickery to unlock the engine but she was seized solid and after freeing her up, we noticed a crack in the bottom liner, so I located a NOS T500J cylinder and purchased it. It arrived on Friday and I have noticed on the intake that the original barrels had a small amount of casting on the intake whereas my new barrel has a larger section which comes out almost to where the carb manifold bolts on. I did check the parts list for the T500 and noticed 2 different barrel types, one for the first Cobra and a later one that was used on the t500 II , T500 III, T500R and T500J. I could not locate a parts book for a T500L, but I had read there werent too many changes to the engine except for the plastic part to protect 5th gear. The guy I bought the barrel off swears it is off a T500J, he purchased a pair, but only needed the RH one, hence why it was up for sale. So to the Suzuki brains trust on here, can I use a cylinder with a slightly different intake ? if so, and will it happily co-exist with my old RH cylinder ? Or did the T500l ship with different barrels to the T500J ? if anyone has a link to a T500L parts book, it would be greatly appreciated. Attached is a pic of the bike and the barrels and head after I wet blasted them. Hi and welcome. Looks like a nice project you have there. The crack in the liner looks like it's just at the bottom of the barrel where it goes into the crankcases, I would think it's possible to get it carefully welded so that it's solid again ... after all, that part of the liner is only there to guide the lower skirt of the piston, it doesn't have to hold compression or anything. As long as the liner is smooth on the inside where the piston skirt passes it, it will work fine. The liners are cast iron so it should be easy to stitch it with the torch. ......I have noticed on the intake that the original barrels had a small amount of casting on the intake whereas my new barrel has a larger section which comes out almost to where the carb manifold bolts on...... So to the Suzuki brains trust on here, can I use a cylinder with a slightly different intake ? if so, and will it happily co-exist with my old RH cylinder ? Or did the T500l ship with different barrels to the T500J ? This took a bit of doing but I remembered a couple of keywords to search the archives that I remember back in 2007 from the old Sundial site for when the subject, that I know of, first came up. I had uploaded some pictures from that thread or from somewhere else of the difference in the ports but I was using photobucket and I'm not sure I can get back in there now. 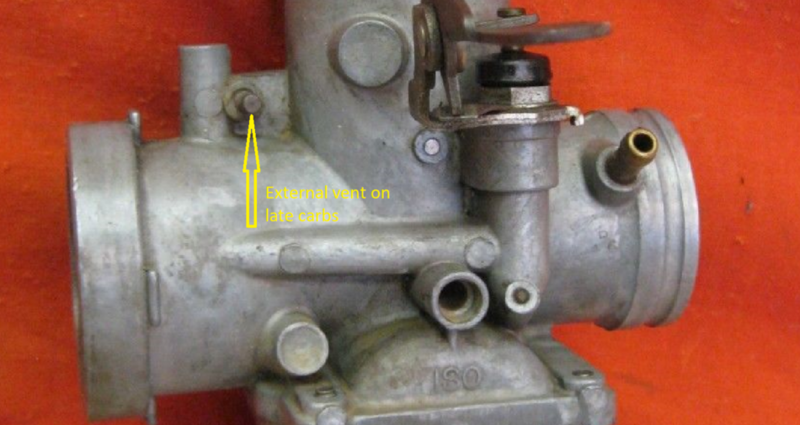 I just noticed , that is an early 1200cc capacity crankcase ...or at least the top half of one. Not a 1974. I guess you have already realized that....you had mentioned in passing about the oil dam part. Makes me wonder which carburetors you have also. so now I am at a crossroads, I posted on the ozebook Facebook page chasing some replacement barrels and was told it is okay to cut away the broken section, the guys on there on posted these pics. Is there a way to identify my engine build year from the engine number ? 1971 - 30848 up to ????? 1972 engine numbers missing off my chart. 1972 - ????? up to 59779. 1973 - 59780 up to 68083. That's a good point about cutting away the broken section, as those sections are at the side of the piston it shouldn't make any difference. The piston skirt is still supported at the front & rear. If the cylinders are otherwise OK and within spec apart from the crack in the liner, I'd suggest just cutting the buggers and smoothing off the corners, as per the pics. Just a matter of how far to correct you want to go on your restoration. Here is a '75 with the 1400cc stamp....same as my '74 spare crankcase assembly that is in my '75 T500. My carbs are most definitely 153 13’s , I pulled them down for a clean and after sitting for 12 years , they were spotless with the exception of some dust in the bowls, they do have 97.5 jets . Engine assembly was going well, crank is now installed , my new Wiseco pistons are in , but I found an issue with the oil pump , it is binding and doesn’t spin freely . 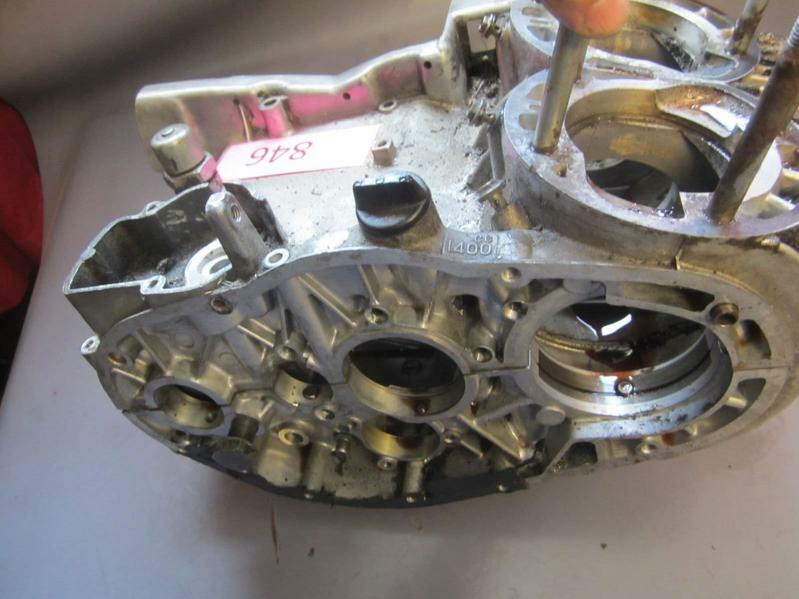 I have pulled the pump down and found some wear on the shaft gear so I am now in the market for a decent working oil pump in Australia , can Anyone help me out? Just to make sure the binding problem is not something else before you get another pump.....perhaps a previous owner screwed in the REVERSE THREAD plunger guide screw without moving the plunger forward a bit via the pump lever first. 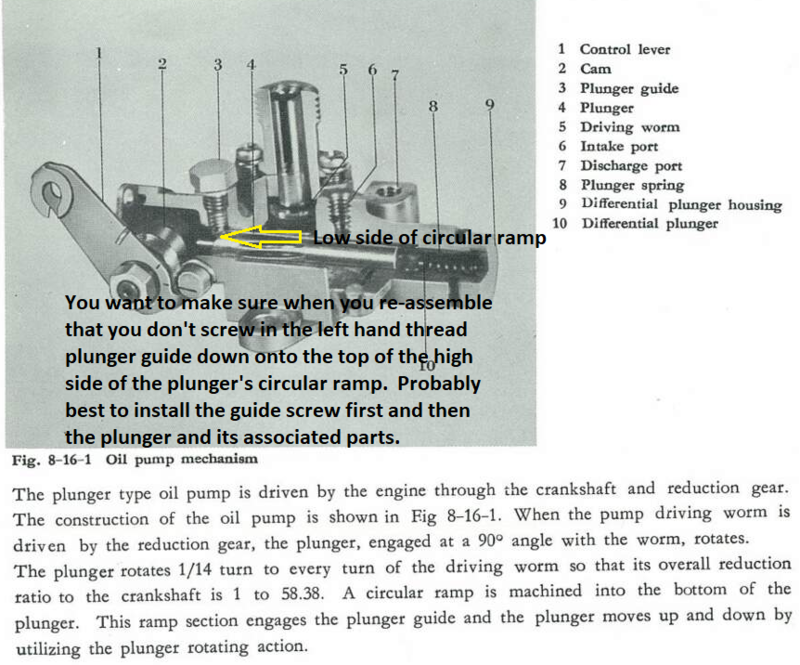 This would guarantee setting up correct alignment at end of plunger ramp, not on top of the plunger end. Just a heads up. Here's hoping you find another pump if the above is not the issue. Once I pulled the pump down, I can see the gear section in the main shaft has some minor flat spots which is causing the binding , I can only assume that someone put it in a vice at some point. So the hunt it on for a pump or just the shaft , I found some on eBay but they are quite expensive.